I’d rounded the end of that steel rod, it stands behind the sewing machine, and blah blah blah. He was right: it needed a bead. That’s a fancy one pilfered from our Larval Engineer’s stash, held in place by a blob of fast-cure epoxy. 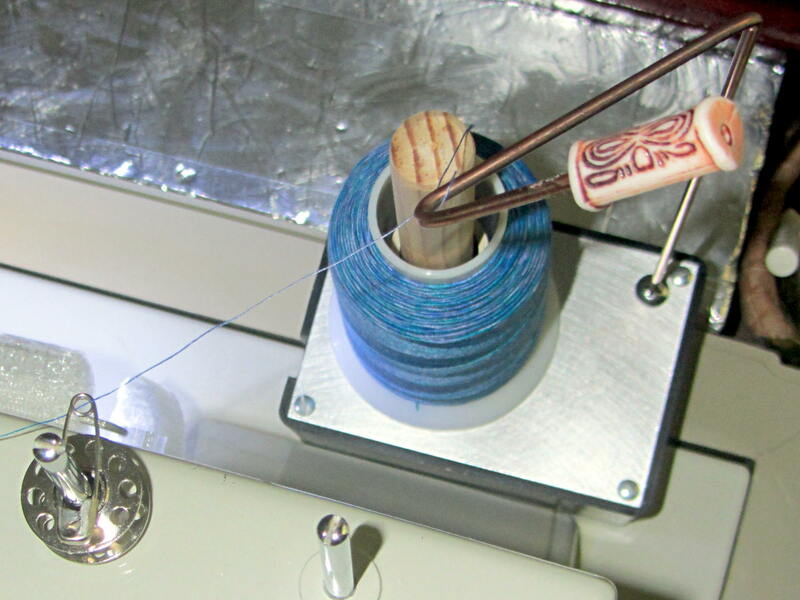 The safety pin atop the bobbin on the left spool pin feeds the thread into the machine’s upper thread guide at the proper angle to make it all work; a direct line from the spool holder hook isn’t quite right.